Dusk shrouds Highland Park homes and LA freeways while downtown's skyscrapers are sihouetted against a fiery twilight. Raoul de la Sota is Professor Emeritus in Mexican American History at Los Angeles City College. 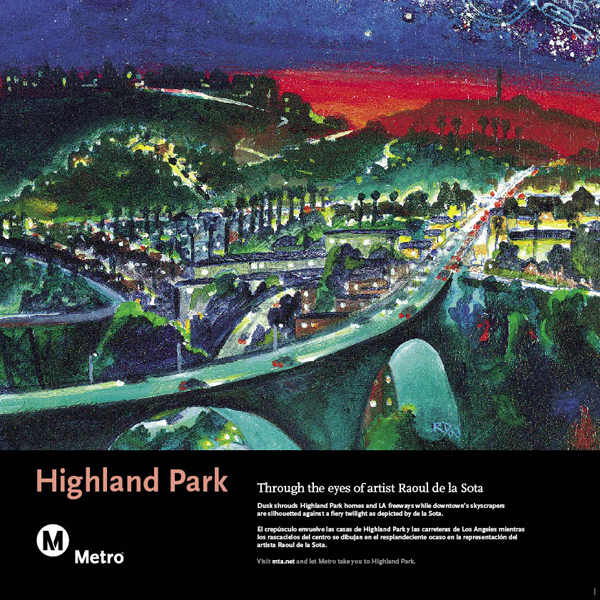 He has exhibited throughout the United States and Mexico and his artwork has been included in exhibitions at the Laguna Art Museum, Laguna Beach and the UCLA Armand Hammer Museum, Los Angeles. 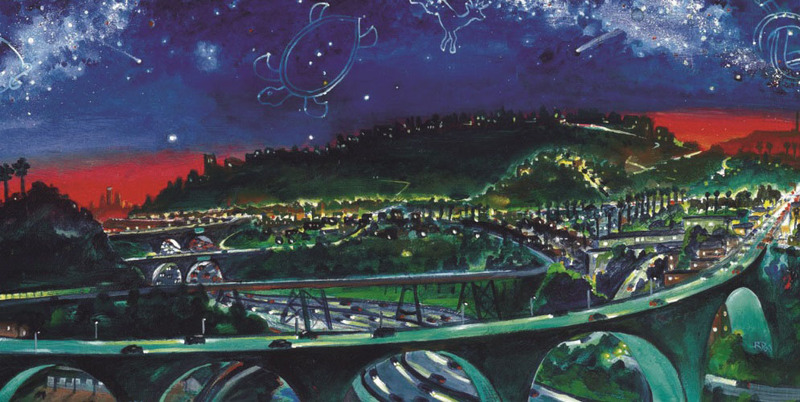 He is the first Chicano artist to be awarded a Fulbright Scholarship.